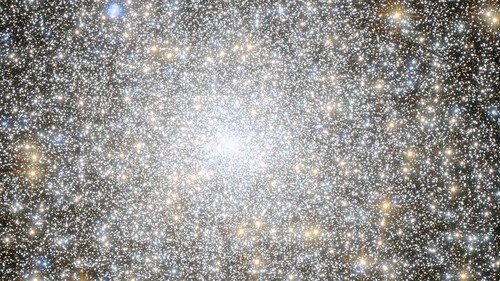 The stars of the Messier 15 globular cluster are unusually bunched in its center. 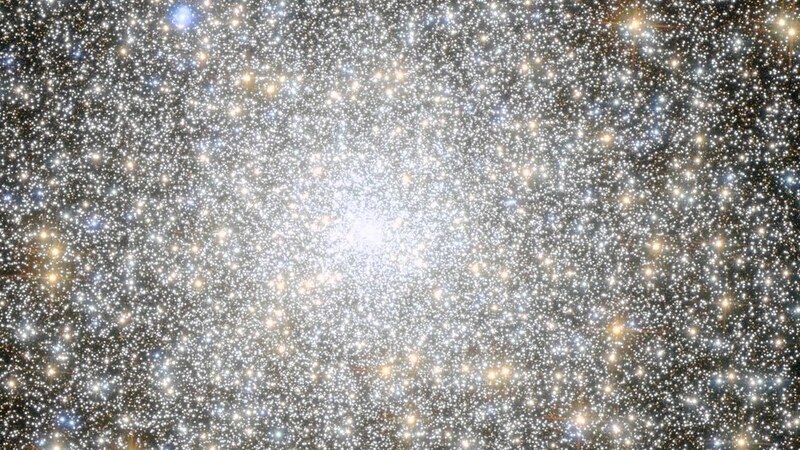 The first mystery of the cluster is what’s pulling them there. It could be a bunch of dark neutron stars, though the most likely candidate is an intermediate-mass black hole. Yet even if that’s confirmed, it just leads to more mysteries. There are three ways a suitable black hole may have formed. There could’ve been several of them of around the mass of the Sun which collided to create a much larger object. Or massive stars could’ve collided before collapsing into a black hole. Alternatively, an intermediate-mass black hole could have been created during the Big Bang. If M15 has one, its origin is a very open question.